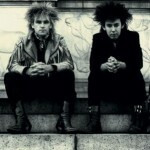 ‘Sixty Eight Guns Will Never Die’ – The Alarm’s evergreen 1983 single will celebrate the 30th anniversary of its original release on September 12th 2013. 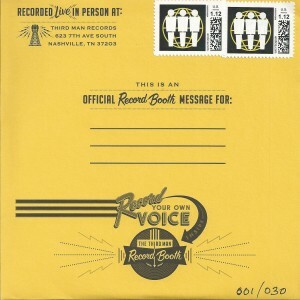 To mark the occasion, lead singer, Mike Peters recently entered The Third Man Record Store in Nashville (owned by Jack White III of the White Stripes), to cut a limited edition run of 30 individual ‘direct to disc’ 6″ vinyl singles. 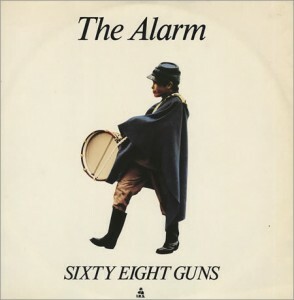 Upon initial release on September 12th 1983, Sixty Eights Guns (Produced by Alan Shacklock), debuted at number 54 in the UK charts before sweeping the nation following a memorable first appearance by The Alarm on Top Of The Pops (September 21st 2013). Sixty Eight Guns went on to reach Number 17 in the UK Top 40, achieving gold record status before becoming a top 40 hit in the USA following a dramatic appearance on American Bandstand in early 1984. 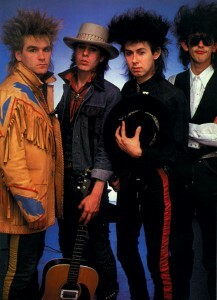 ‘Sixty Eight Guns’ itself, was a pioneering mix of protest punk, folk, americana and stadium rock as described in 1984 by US reviewer Jim Connely “While a lot of bands have tried to combine the ’60s and ’70s, none of them have been as successful as The Alarm. Musically, their secret is that they draw on Punk and then temper it with an acoustic sound while avoiding the wimpiness usually associated with folk. Lyrically, it works because they avoid Punk nihilism and concentrate more on positive personal politics. This is rock and roll at its very finest and U2, R.E.M. and the rest are going to have to work very hard to top it”. 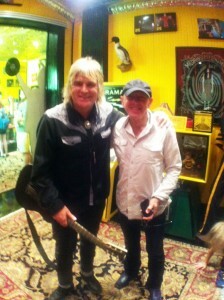 “For this anniversary, I thought it was important to take the song back to its origins,” continues Peters. 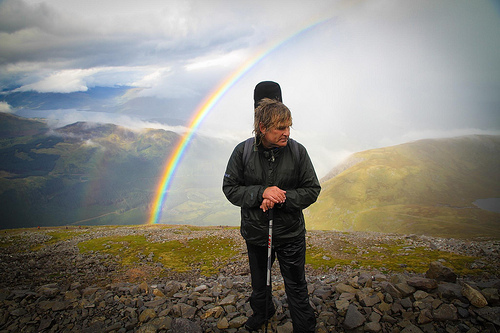 “In 1983, the single was produced to break the band on the radio and while it certainly did that, some of the original raw acoustic edge got lost. I also had to cut the song down for the single version and have always kicked myself that, in the process, I mistakenly took out the lines that summed up what the song was really all about, so on most of these recordings I have reverted the lyrics back to include the lost lines “If they take our chances, we’ll create our own”. 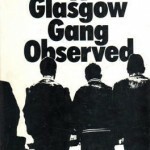 ‘Sixty Eight Guns’ was originally written with bass player Eddie Macdonald back in 1981 and cited by Mike Peters as being lyrically inspired by a (then), little known book, the cult sociology classic ‘A Glasgow Street Gang Observed’, which was written by a 26-year-old schoolmaster under the alias of James Patrick, that offered a unique insight into a gang known in 1966, as ‘The Young Team’. 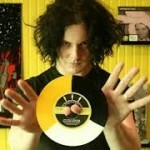 Jack White’s recording booth is a Voice-o-Graph machine that records up to 111 seconds of audio and dispenses a one-of-a-kind 6″ phonograph disc to the user. The ability to “hear yourself as others hear you” is not only a tagline… it’s an invitation, a charge, a call to arms. 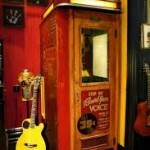 The Recording Booth was an arcade staple through the middle of the 20th century and famously used by Martin Sheen’s character in the film Badlands and recently by both Neil Young and Jack White himself. 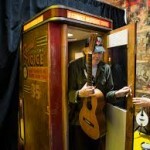 These “make your own record” booths were popular audio peculiarities that fell out of vogue in the 1960’s and 70’s. 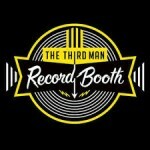 The Third Man Recording Booth is the only machine of its kind in the world that is both operational and open to the public. These extremely limited edition 30 only copies of The Alarm’s Mike Peters singing ‘Sixty Eight Guns’ on ‘direct to disc’ 6″ vinyl singles will be available exclusively at www.the alarm.com at 6 minutes to 8 P.M. (GMT) on Thursday September 12th 2013. All copies will be signed and numbered and will retail at the anniversary price of £68 plus postage and packing.